This article is part of a series of Corporate Watch articles exposing corporate complicity in settlement expansion in the wider E1 area. They will be followed by an in-depth factsheet in the coming months. 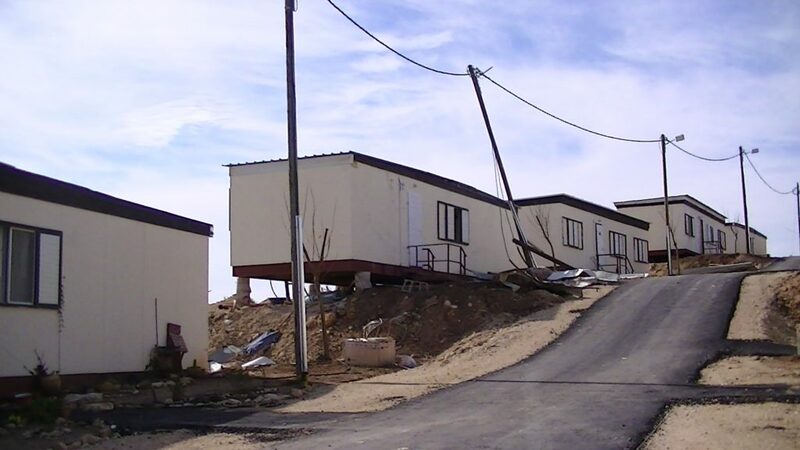 Kfar Adumim is an illegal Israeli settlement established in 1979 and has a population of over 2,500 settlers. It is located just outside the boundaries of the E1 project but is just as strategically important for Israel’s plans for the area. The planned route of the apartheid wall encircles Kfar Adumim to include it in what Israel refer to as the Greater Jerusalem area. As the E1 plan will facilitate this further land grab, with much the same results, we have decided to refer to this area between Ma’ale Adumim and Kfar Adumim as the ‘wider E1 area‘. The view from Kfar Adumim towards Mishor Adumim industrial zone and Ma’ale Adumim clearly shows the Bedouin Khan al Ahmar communities threatened with ethnic cleansing as a result of planned settlement expansion. 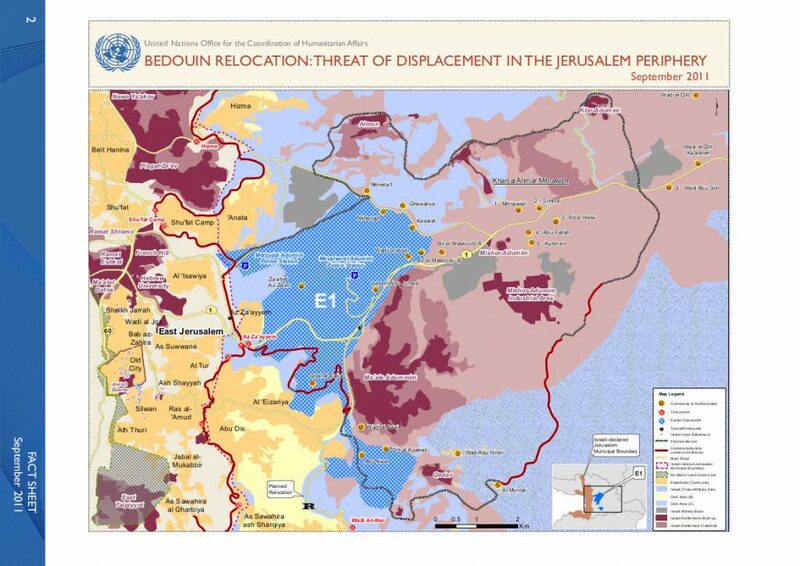 A permanent settlement expansion North East of Ma’ale Adumim would have dire consequences for Palestinians on several levels, the most urgent issue being the ethnic cleansing of the Jahalin Bedouin living in Area C around the Ma’ale Adumim settlement bloc. 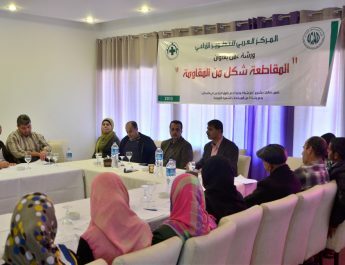 There are advanced Israeli plans to forcibly relocate Bedouin populations from Area C of the West Bank – in the case of the greater E1 area this means the remaining communities around Khan Al Ahmar. If the apartheid wall was to be finalised in the way that it is planned, it would enable Israel to have total control over the access points between the Jordan Valley, the rest of the West Bank and East Jerusalem. The Jordan Valley area comprises 28.5% of the entire West Bank and would constitute a free Palestine’s only international border. 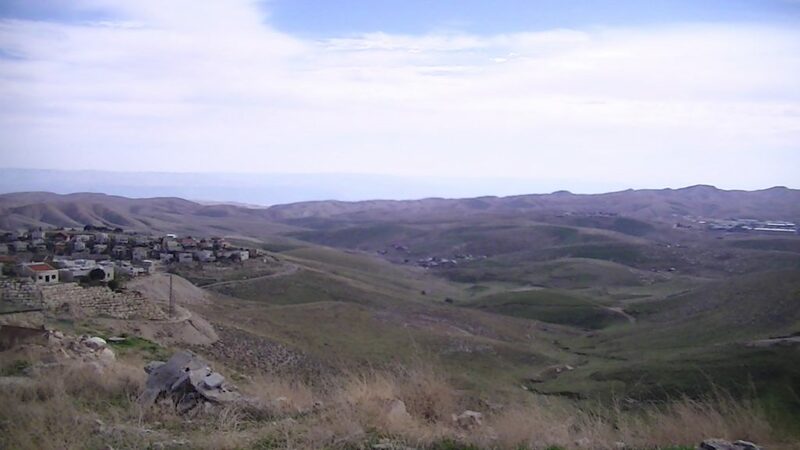 Kfar Adumim is a relatively small settlement and most of the international companies present were involved in construction for settlement expansion, but other areas of interest for the Boycott, Divestment and Sanctions movement include tourism and relationships between foreign and Israeli companies such as telecommunications companies Bezeq and BT. As previously reported by Corporate Watch Bezeq operate in Kfar Adumim. 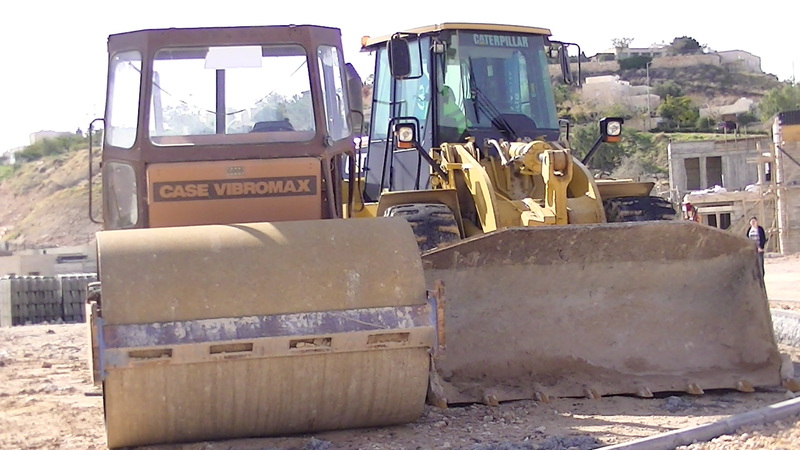 JCB Vibromax (previously owned by Case) and Caterpillar machinery working in the illegal settlement of Kfar Adumim. There was a lot of construction going on inside the settlement, and not just in around the areas of the new neighbourhood. Several construction equipment companies were spotted engaged in settlement expansion work, including Volvo, Caterpillar and the British company JCB, which had several different types of equipment working on the site. 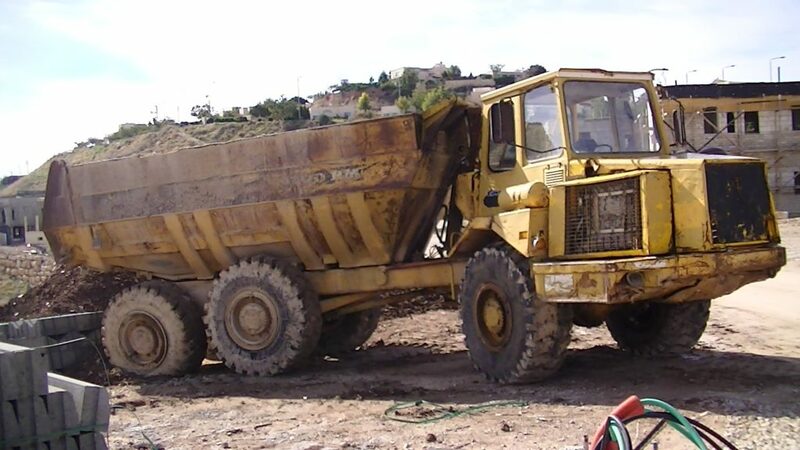 Old Volvo truck working on settlement expansion site in Kfar Adumim. 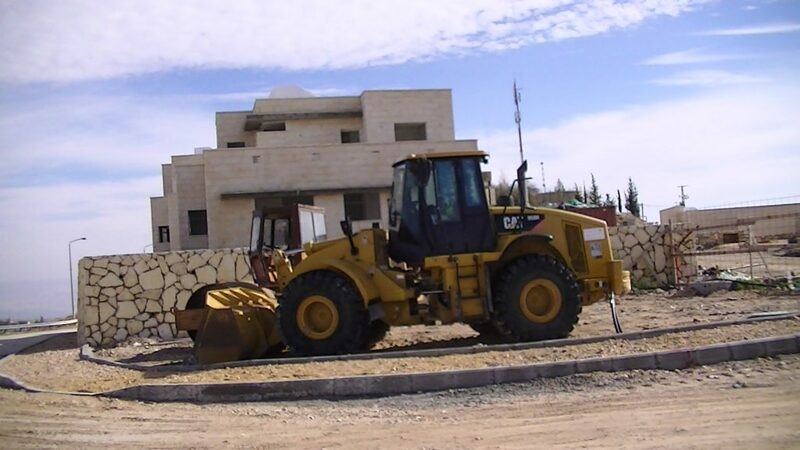 Caterpillar digger next to a new house in the illegal settlement Kfar Adumim. There is a hotel located in Kfar Adumim. Nof Canaan is advertised as having spacious studios and apartments and being in the perfect location for both the Dead Sea and Jerusalem. On the internet Nof Canaan is advertised through www.booking.com where it is described as being located in Israel rather than in an illegal West Bank settlement. Booking.com also advertise accommodation in the settlement of Kalia. There were also signs for a horse riding facility at the entrance to the settlement. 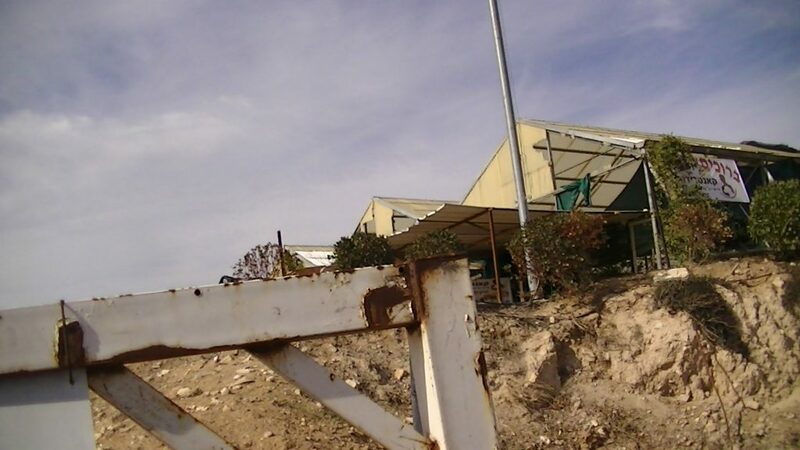 Other activities in Kfar Adumim included a vineyard and a small industrial area with local factory units. The vineyard in Kfar Adumim is run by Psagot winery based in the illegal settlement of Psagot. It appears to export mainly to the United States, including through the Royal Wine Corp, with distribution points available on their web-site. As with other wineries, Psagot is trying to attract tourists by holding tours of their facilities. We are currently translating the Hebrew signs from the industrial area and will update the article if we find anything of interest.